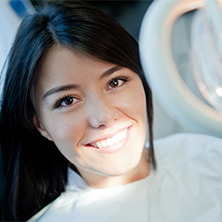 At Merritt Mill Dental Associates, we are focused on treating the whole person. In addition to addressing specific tooth- and gum-related conditions, we consider how your teeth and gums affect your overall health. Our goal is to help you achieve a confident, beautiful, and functional smile, while also keeping you informed about your dental treatment options so that, where applicable, you can choose the path that’s right for you. 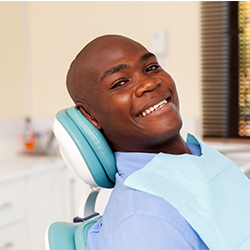 Your smile is one of your top features, and your dental health is an essential component of your overall health. That’s why you shouldn’t rely on just any dentist in Salisbury when you need dental care. 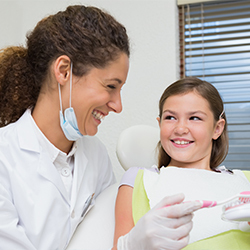 When you choose to come to our dentist office, you’ll be welcomed into a relaxing environment designed to help you feel at ease. From the moment you walk in the door, our wonderful staff will be there to ensure that you get prompt attention and the best possible care. 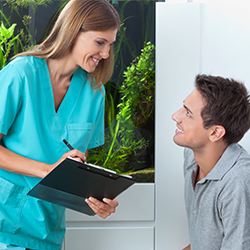 Want to learn more about our compassionate dental care and the many services and treatments we offer? If so, take a few minutes to peruse our website. If you would like to learn more about any of our services, or you have questions or concerns, contact us or stop by our office! Whatever treatment you’re coming to see us for, we always try to keep our office operations as convenient as possible. Below, you’ll find information about our location, hours, scheduling, billing and insurance plans we accept. *Closed for lunch from 12:30 PM – 1:30 PM. We know that you have a full life and a busy schedule. That’s why we’ve set out to make it as easy as possible to request an appointment right on our website. If you need to cancel, delay, or reschedule your appointment, please give us a call at your earliest possible convenience. Though we do not participate in Health Management Organizations, we are able to accept most insurance plans, and we will help you file your claim. As long as your insurance plan allows you the freedom to choose your own dentist, we’ll also be happy to file your reimbursement. We accept cash, checks, and credit cards, and we offer our own flexible payment plan. Learn more about our flexible payment plan by contacting our Financial Coordinator. If you do not have insurance or your insurance doesn’t fully cover the treatment or procedure you need, you can always take advantage of CareCredit®. With CareCredit, you’ll be able to enjoy no-interest financing and low monthly payments. The process of applying for CareCredit is easy. There are just three steps, and you’ll get an instant credit decision. Once you’re approved, you can use your CareCredit card for more than just dental care. It also works for cosmetic procedures, hearing aids, veterinary care, LASIK, and more! CareCredit has been endorsed by so many reputable organizations throughout the healthcare industry, and because it’s a GE Money Company, you can rest assured that you’re using a card you can count on. CareCredit has helped more than five million people get the treatments and procedures they want or need over the last 20 years. With CareCredit, you don’t have to put off getting the treatment you need or wait to save up for the procedure you want. CareCredit will give you the freedom you need to take control over your health and wellness, without having to worry about high interest rates or unaffordable payments. Visit carecredit.com to learn more about CareCredit and to apply.